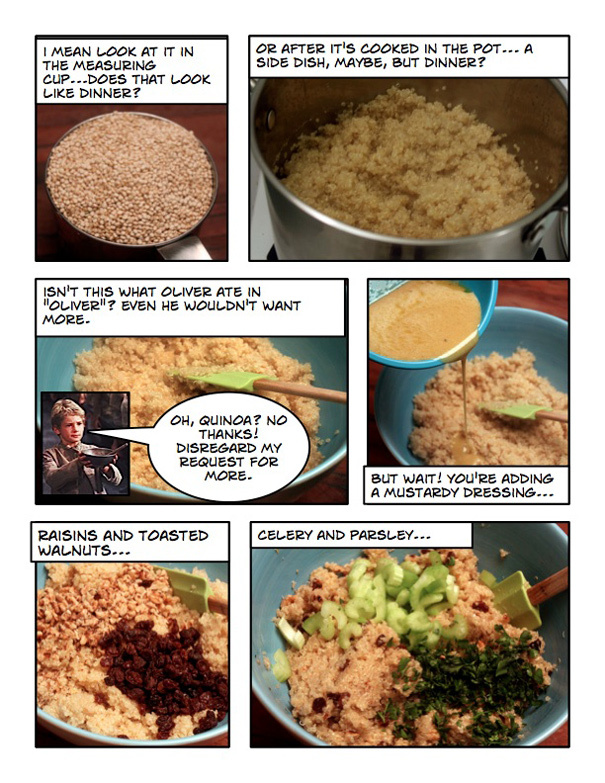 Summary: A recipe to turn a quinoa (pronounced “keen-wa”) hater into a quinoa fanatic. 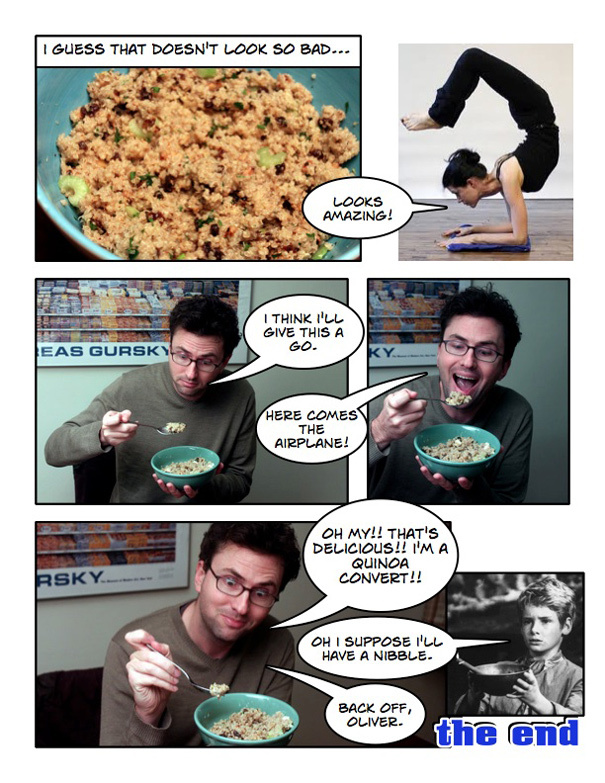 Fluff the quinoa with a fork and transfer it to your serving bowl. In a separate bowl, whisk together the mustard, honey, and white wine vinegar. Still whisking, gradually incorporate the olive oil until you have an emulsified dressing. Season the dressing with salt and pepper. Pour half the dressing over the quinoa and work it in using a rubber spatula. (You want the quinoa to still be warm so it absorbs the dressing.) Taste and add more dressing according to your taste. Season with salt and pepper. Add the remaining ingredients–the walnuts, raisins, celery and parsley–and continue to work with the rubber spatula, then fluff again with a fork. If you have Aleppo pepper (a spicy, fruity Turkish spice) a sprinkling here would be nice too. Taste one more time then serve it up; tastes even better the next day. 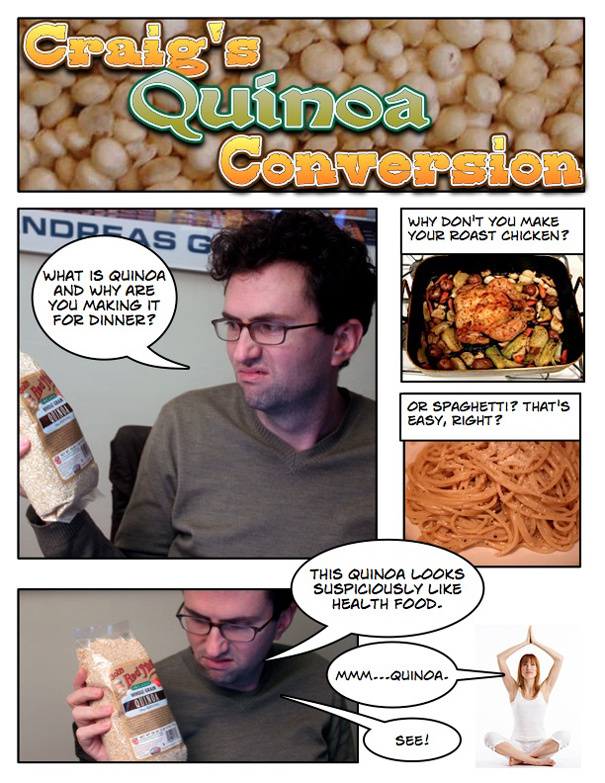 There’s so much you can do with quinoa, I don’t even know where to begin. In summer, you could make a quinoa salad using heirloom cherry tomatoes, diced mozzarella, sliced basil and red onion; in winter, quinoa with roasted squash and sauteed onions (like this Ottolenghi couscous) would be wonderful too. Let your imagination run wild.